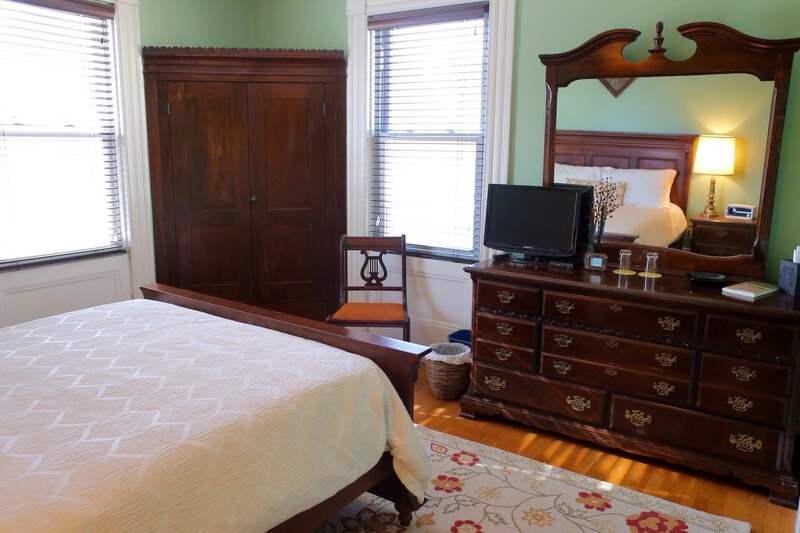 Named for one of the most beautiful parcels of land in the world, the Big Sur Room offers our best view, directly onto lush Salem Common. 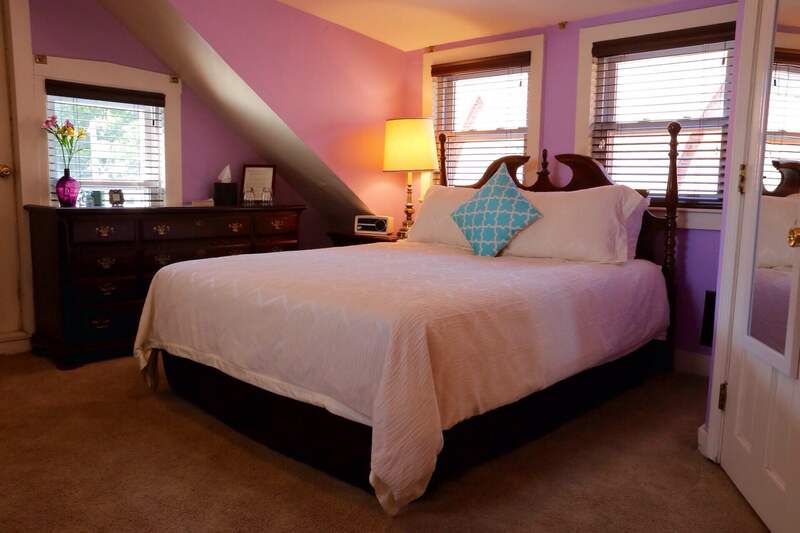 Spacious and instantly comfortable, this corner room has a queen-sized bed, luxurious memory foam and bamboo pillows, iPhone-charging clock radio, cable television and closet. 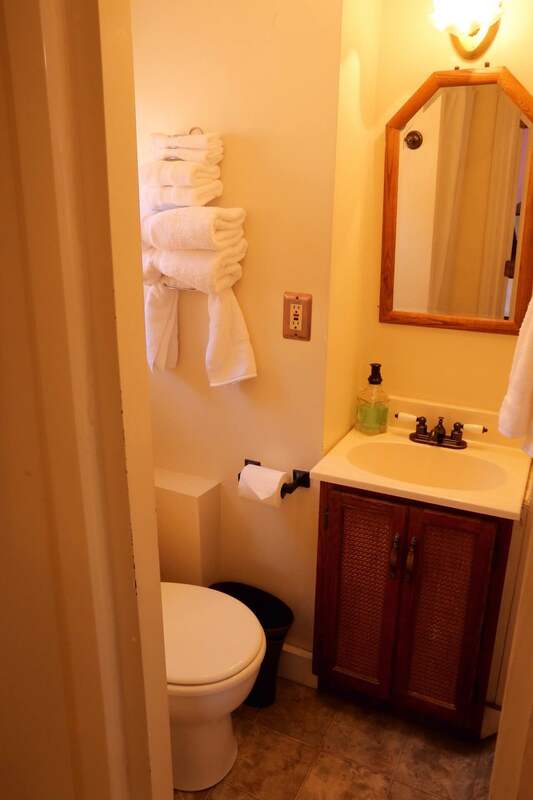 The private bathroom is located a few steps down the hall, in the rustic tradition of the Big Sur region. We provide robes in this room for your convenience. 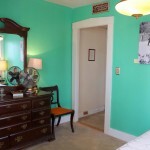 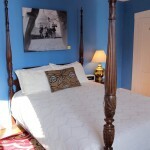 Another picturesque area of California is the charming city of Monterey, which lends its name to this corner room. Cool and serene, this room offers a queen-sized bed, luxurious memory foam and bamboo pillows, iPhone-charging clock radio, cable television and antique built-in wardrobe. 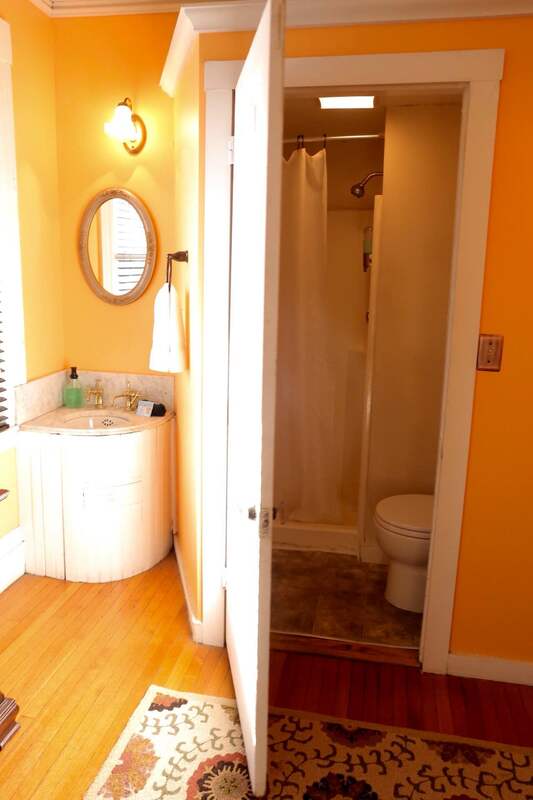 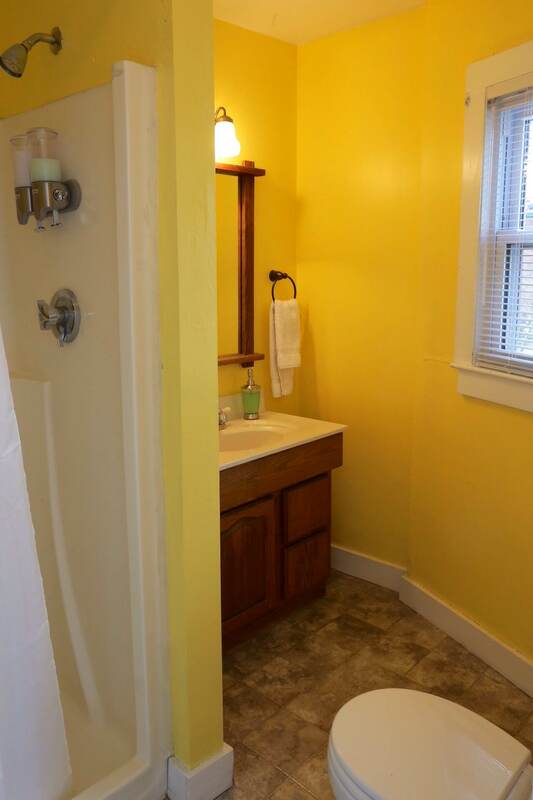 The large private bathroom is just outside your door. One of the most beautiful cities in the world is honored here in Salem with our San Francisco Room. 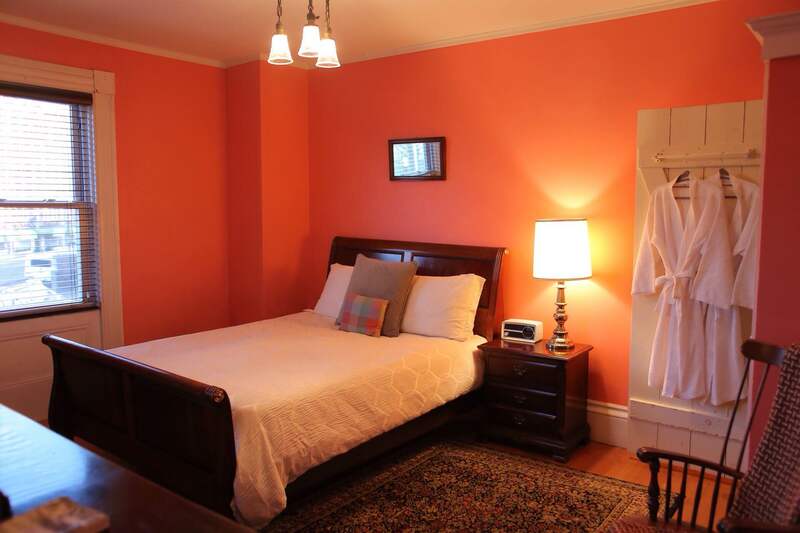 Warm and cozy, this room offers a queen-sized bed, luxurious memory foam and bamboo pillows, iPhone-charging clock radio, cable television and large closet. 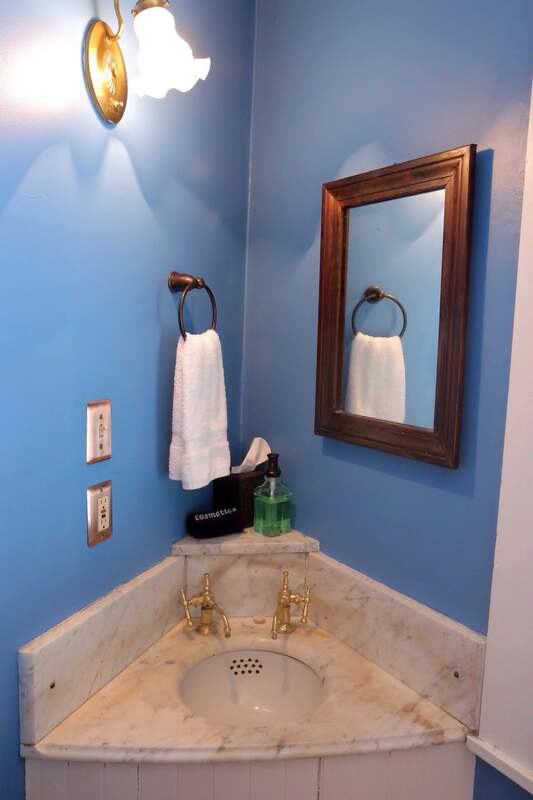 The en suite bathroom features an antique in-room marble sink with brass fixtures. 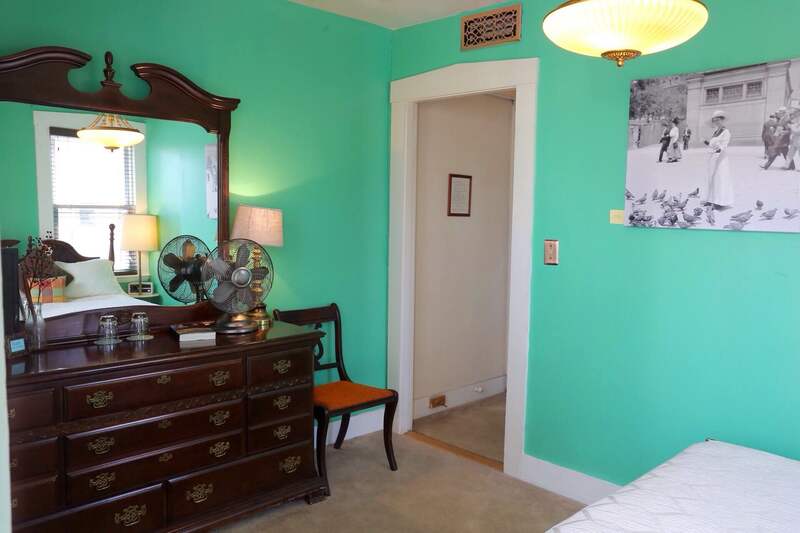 Our nation’s capital is honored in this unique and beautiful room. 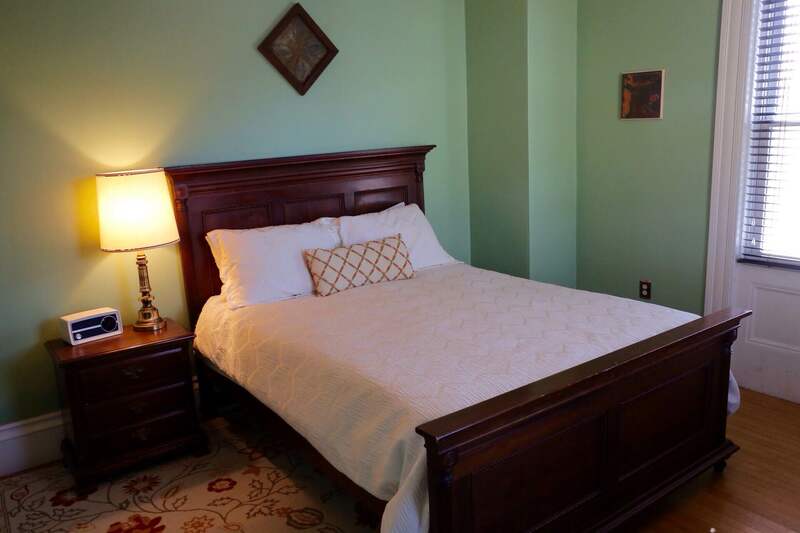 Elegant and inviting, the Washington, D.C. Room features a four poster queen-sized bed, luxurious memory foam and bamboo pillows, iPhone-charging clock radio, cable television and closet area. 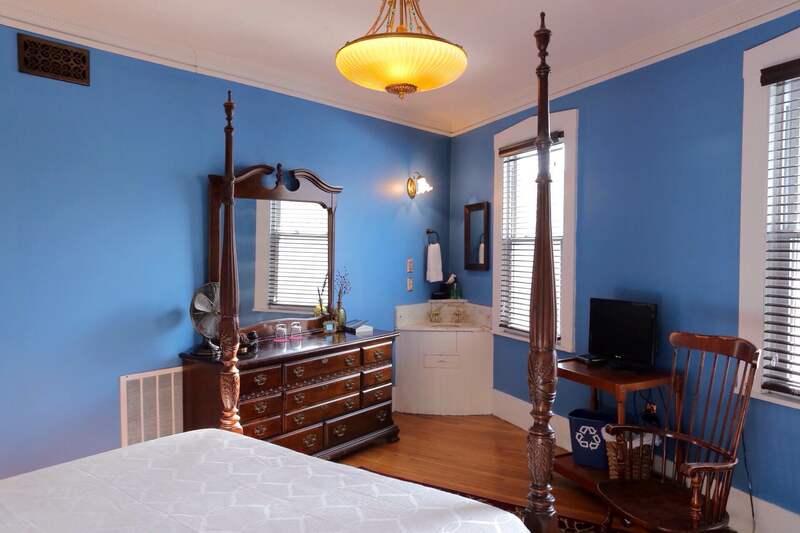 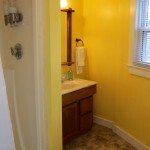 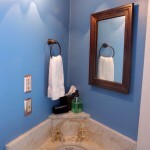 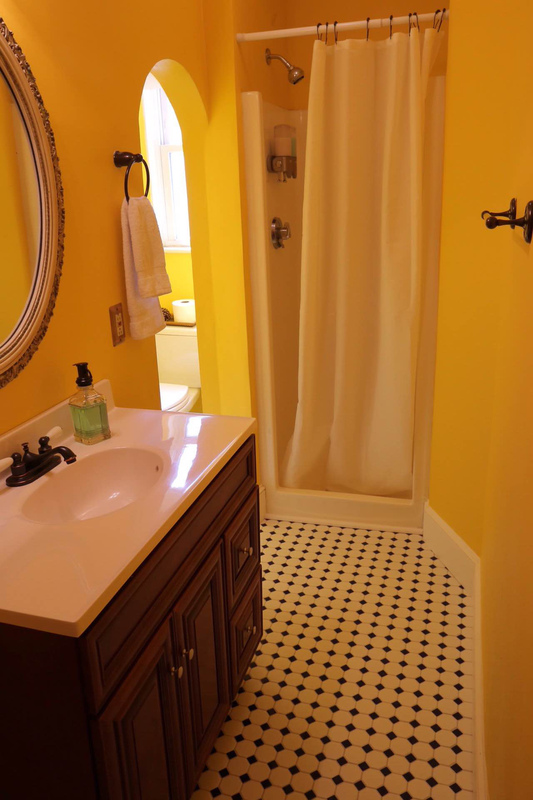 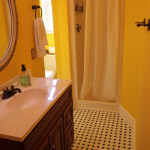 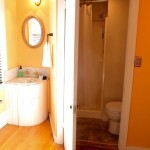 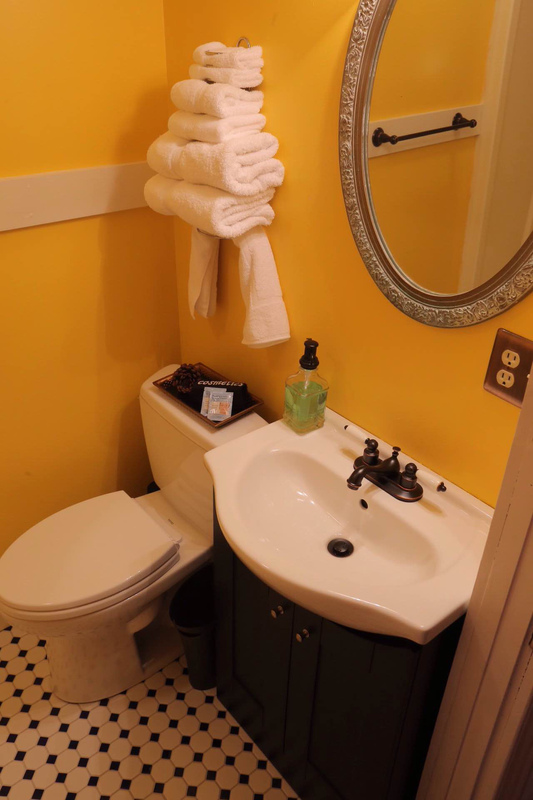 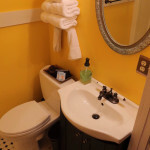 The en suite bathroom also boasts an antique in-room marble sink with brass fixtures. 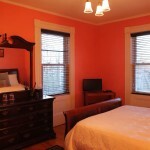 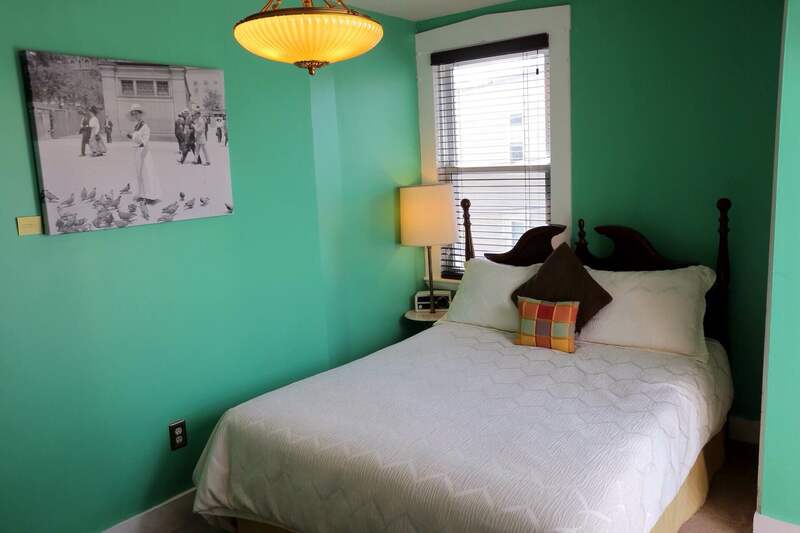 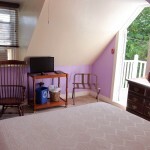 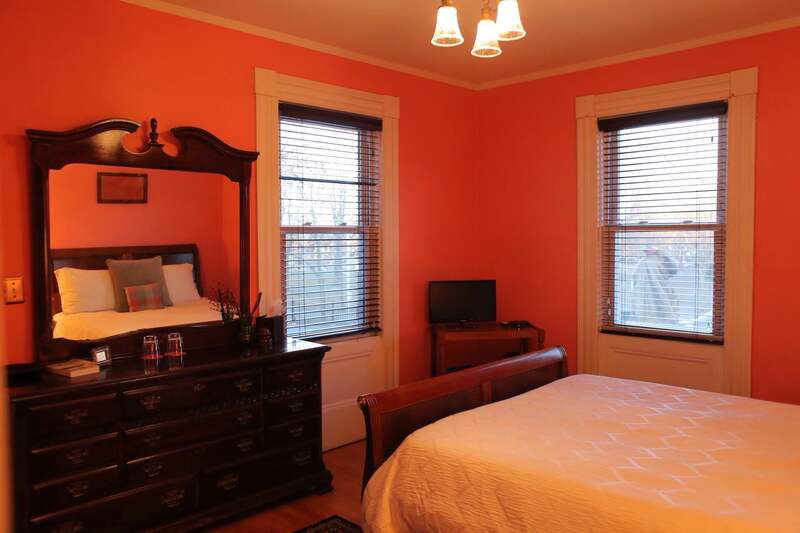 Our inn couldn’t be complete without a room dedicated to beautiful Salem! 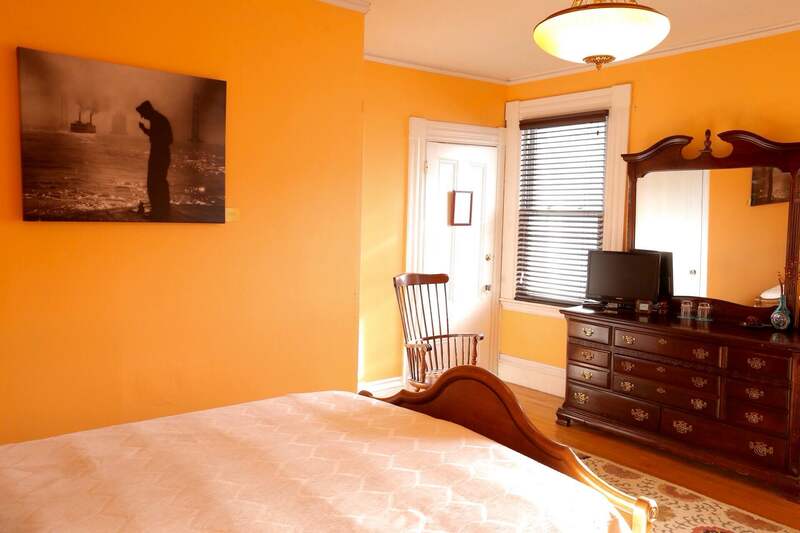 Our only room located on the third floor, the Salem Room is intimate and beguiling with its windows on three walls and beautiful afternoon light. 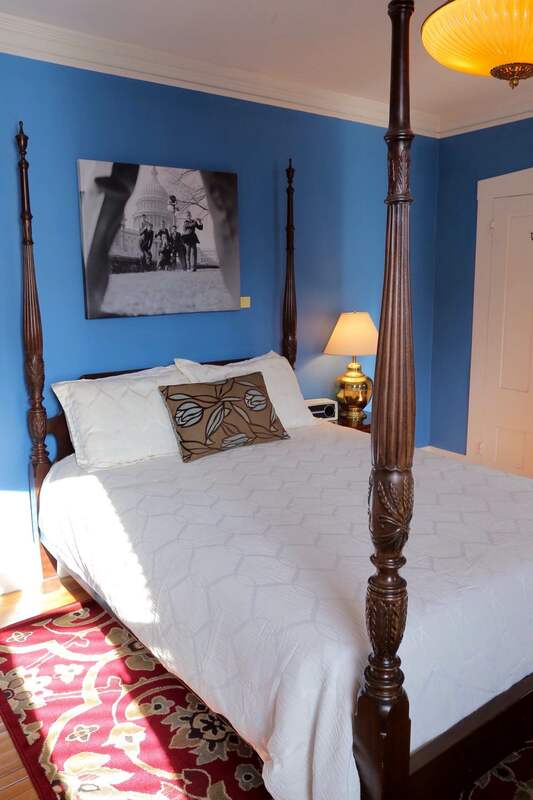 This private and cloistered room features a queen-sized bed, luxurious memory foam and bamboo pillows, iPhone-charging clock radio, cable television and en suite bathroom. The fair city just to our south is honored with a quiet and secluded room at the back of the house. 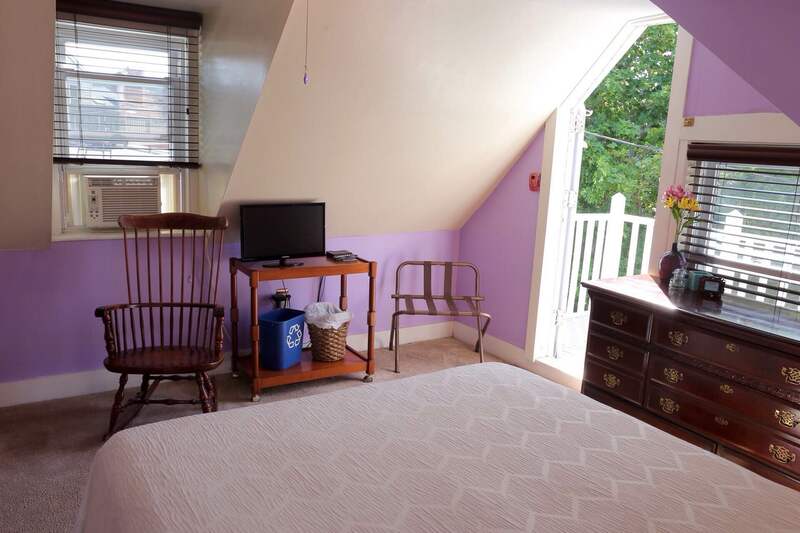 This room features a queen-sized bed, luxurious memory foam and bamboo pillows, iPhone-charging clock radio, cable television and closet. 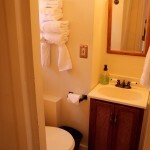 The en suite bathroom is the largest of all our guest bathrooms. 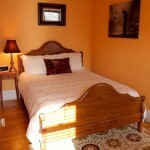 All of our guestrooms feature Gardner Mattresses, which have been made right here in Salem since 1933. 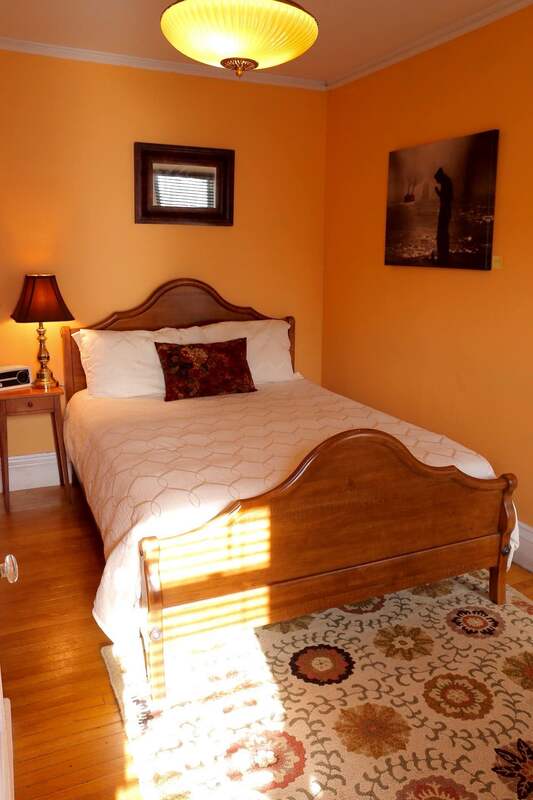 If you’d like to sleep like you’re in Salem, check out Gardner Mattress. 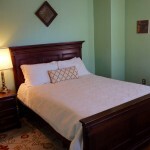 100% handmade in the USA.